ST. GEORGE — A Nevada man is in jail on 23 felony offenses for having multiple finance cards in various people’s names, and for possessing a device used for reading and rewriting information encrypted on the card’s magnetic strip to allegedly steal bank card information. 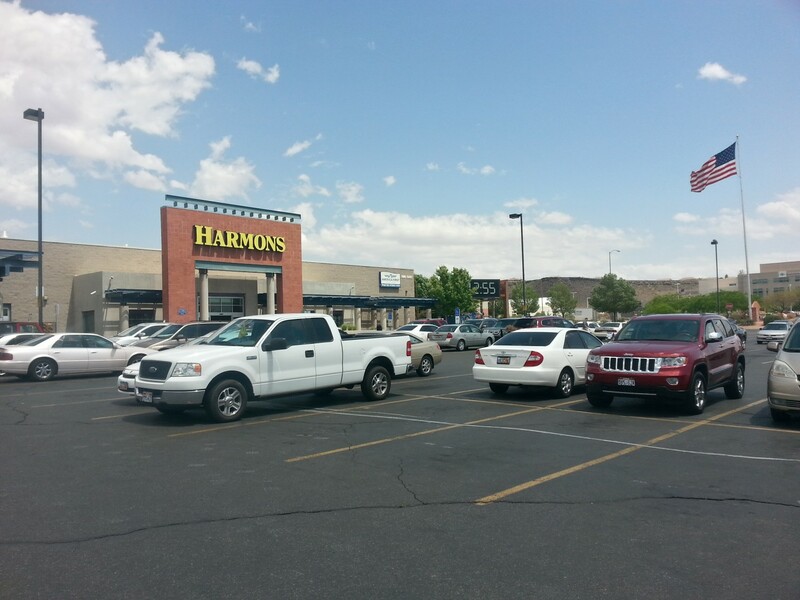 Yoandri Cabrera-Rodriguez, 35, of Las Vegas, Nevada, was arrested Thursday at Harmons grocery store on 700 South after the store director called police to report suspicious credit card activity taking place at the store’s gas pumps, according to the probable cause statement filed in support of the arrest. Store personnel provided 911 with a description and said he was reportedly driving a red GMC pickup truck. Responding officers found Rodriguez stopped at one of the pumps after filling his tank with $183 worth of fuel that he allegedly paid for using two different finance cards. 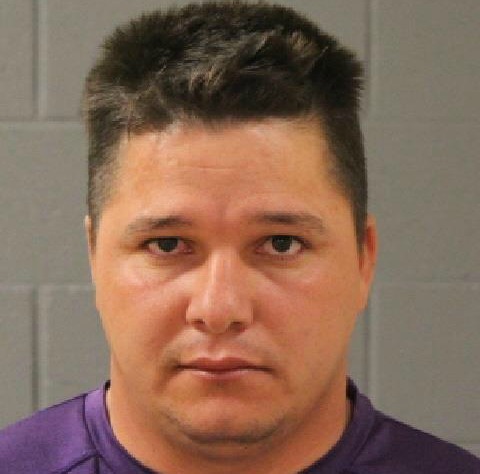 Officers learned from store personnel the GMC was seen at the gas pumps March 4 where Rodriguez allegedly used two different finance cards to purchase a total of $620 worth of fuel dispensed in five successive, separate purchases. The store director also told police that on the morning of March 3 the same truck was seen at the company’s other store on Pioneer Parkway in Santa Clara where the suspect allegedly used finance cards to make nine consecutive diesel purchases totaling 405 gallons of diesel valued at $1,116.00. Days prior, the GMC pulled up to the gas pumps with two other vehicles that, according to video surveillance footage provided by the store, showed the trio purchasing several gallons of diesel fuel which led employees to believe all three vehicles were working together as part of a fraud scheme, the report says. While approaching the pickup, officers noticed a large fuel tank equipped with an auxiliary pump which led from the gas cap to the tank located toward the rear of the truck. In the report, the officer said he was familiar with this type of fraud where individuals use stolen finance card numbers to make multiple purchases of diesel fuel, which is then loaded into large, customized tanks capable of holding hundreds of gallons of fuel which is then resold for profit. During an interview with police Thursday, Rodriguez allegedly told the officer he was at Harmon’s a few days prior and used finance cards to purchase fuel, claiming the cards used to make the purchases were not his personal cards, but ones he had purchased in Las Vegas over the last five or six days, court records say. The defendant allegedly “pulled out a stack of cards; misc. gift cards and finance cards” from his pocket and gave the officer consent to search his wallet that contained a number of finance cards in various people’s names. Rodriguez told the officer he had purchased several gift cards and at least two different finance cards in Las Vegas from the same person who he would not identify. He also said he had the large tank installed in the truck for fuel storage, claiming he was using the fuel for “his personal vehicles” and was not working with anyone else. The officer found 10 finance cards in the defendant’s possession, each with a magnetic strip that contained different information than what was printed on the front of the card. Additionally, the last four digits on two of the cards matched the numbers printed on the fuel receipts. During a search of Rodriguez’s vehicle officers found a magnetic strip card reader/writer concealed inside the vehicle, a device capable of reading the information encoded on the card’s magnetic strip. It can also encode or rewrite new card information using a smart phone, either using Bluetooth or by connecting the card reader directly to the phone. Rodriguez was arrested and booked into Purgatory Correctional Facility for 23 third-degree felonies, including 10 counts of unlawful possession/acquisition of finance cards and 12 counts of obtaining encoded information on a finance card and one count of forgery. He also faces two misdemeanor counts of unlawful use of a finance card based on the diesel purchases that took place Thursday. Officers requested that bail be set at $40,000 because he poses a flight risk as he is a Nevada resident who was born in Cuba and has made statements that he wanted to return to Florida. The case was submitted to the Washington County Attorney’s Office for review Friday and Rodriguez remains in custody at this time.